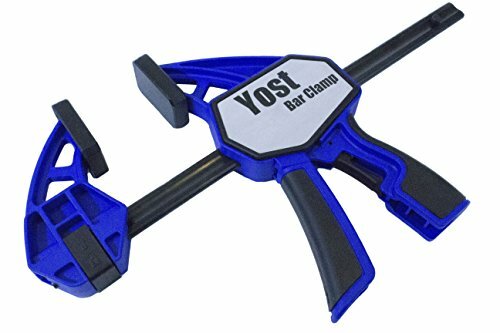 Yost 15036 model is a 36 inch ratchet bar clamp and Spreader. These bar clamps feature strong Nylon main jaw assemblies designed to clamp with up to 330lbs of force. The trigger action design applies smooth and precise pressure. The bar clamp can also quickly be changed into a Spreader by moving the fixed jaw. Detailed Instructions can be found below. The premium plastic Soft jaw covers prevent scratching or marring of work surfaces. Capri Tools 10519 Rotating Base and Head Bench Vise, 6"